You've got to have strong individuals to be in charge and take the lead if you want your group to succeed. This certainly holds true for a group such as the Rebellion. They were outnumbered and outgunned greatly by the Imperial forces. Without strong and competent leaders, the Emperor would've never been overthrown. 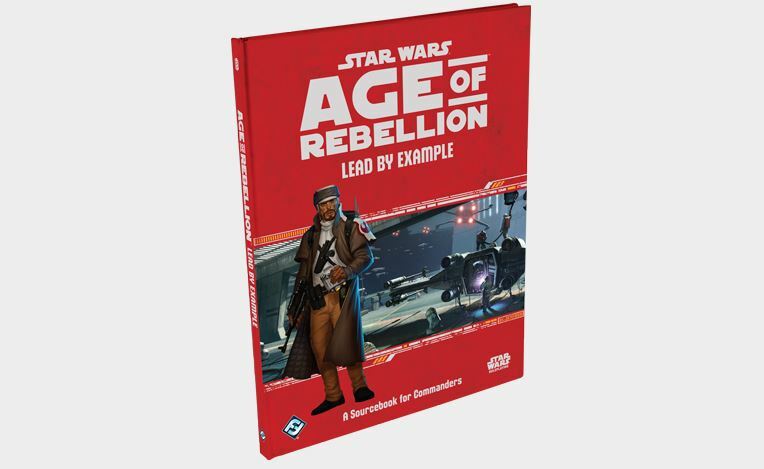 Now you, too, can join the ranks of leaders of the Rebellion with the Lead by Example sourcebook for the Star Wars RPG from Fantasy Flight Games. As usual for these books, Lead by Example is crammed with all sorts of new things to bring to your gaming sessions. There's new gear, new vehicles, new specializations, and new playable races. Those races are the Ishi Tib, Chagrians, and the Lannik. Two new signatures include Rousing Oratory and Unmatched Authority (hey, I had a character that did stuff like that way back in the day. Oh how I miss playing that one). The book also includes rules for how to play out large-scale battles in the RPG. Such events like the Battle of Yavin or Battle of Hoth involve thousands of people and pieces of equipment, and now you can have such events in your games as well. The book is available now online and at your LGS.